After watching the Aquaman extended trailer it’s difficult to tell whether this is going to be ridiculously cool, or quite possibly the stupidest mega-budget movie ever made. Indeed, the fact they bothered to release a five-minute look at the movie is evidence that Warner Bros. knows a lot of people are uncertain about the film. At the moment though, there’s still plenty of hope for the former, not least ebcause director James Wan (Saw, The Conjuring, Insidious, Fast & Furious 7) has an impressive track record of making films that are far more entertaining that you might expect. Here’s the synopsis: ‘From Warner Bros. Pictures and director James Wan comes an action-packed adventure that spans the vast, visually breathtaking underwater world of the seven seas, “Aquaman,” starring Jason Momoa in the title role. The film reveals the origin story of half-human, half-Atlantean Arthur Curry and takes him on the journey of his lifetime—one that will not only force him to face who he really is, but to discover if he is worthy of who he was born to be…a king. ‘The film also stars Amber Heard (“Justice League,” “Magic Mike XXL”) as Mera, a fierce warrior and Aquaman’s ally throughout his journey; Oscar nominee Willem Dafoe (“Platoon,” “Spider-Man 2”) as Vulko, council to the Atlantean throne; Patrick Wilson (“The Conjuring” films, “Watchmen”) as Orm/Ocean Master, the present King of Atlantis; Dolph Lundgren (“The Expendables” films) as Nereus, King of the Atlantean tribe Xebel; Yahya Abdul-Mateen II (Netflix’s “The Get Down”) as the vengeful Black Manta; and Oscar winner Nicole Kidman (“The Hours,” “Lion”) as Arthur’s mom, Atlanna; as well as Ludi Lin (“Power Rangers”) as Captain Murk, Atlantean Commando; and Temuera Morrison (“Star Wars: Episode II – Attack of the Clones,” “Green Lantern”) as Arthur’s dad, Tom Curry. After watching the Aquaman trailer it’s difficult to tell whether this is going to be ridiculously cool, or quite possibly the stupidest mega-budget movie ever made. At the moment though, I’m still hopeful for the former, not least ebcause director James Wan (Saw, The Conjuring, Insidious, Fast & Furious 7) has an impressive track record of making films that are far more entertaining that you might expect. Aquaman has found itself a villain, and it’s someone not unfamiliar with the world of DC characters. Patrick Wilson previously Dan Dreiberg/Nite Owl in Zack Snyder’s 2009 adaptation of Watchmen. Now, with Snyder helping oversee the creation of the DC movie universe (having helmed Man Of Steel and Batman v Superman), Wilson has joined Aquaman. Director James Wan announced the news on Twitter, saying, ‘In casting news that no one saw coming from 20,000 nautical miles away, I ordain @patrickwilson73 the Ocean Master. #KingOrm #Aquaman’. Orm is Aquaman’s half-brother, although at the moment it’s difficult to know what direction the film will take him. There have been various takes on the characters, some with powers and some without, but all with a dislike/jealousy of Aquaman. Therefore it’s likely Wilson will be one of the movie’s primary villains (previous rumours suggested Black Manta would be the main baddie, but that’s never been confirmed). The movie is due out October 2018. 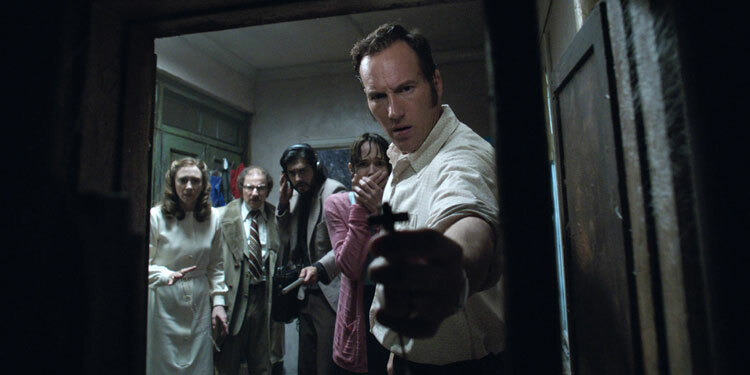 The Conjuring surprised many when it grossed over $300 million on a $20 million budget. It ensured that a sequel was quickly put in the works (as well as last year’s spin-off, Annabelle), with the filmmakers looking through the cases of Ed and Lorraine Warren for more inspiration. What they came up with was the Enfield Poltergeist, one of Britain’s most documented paranormal cases, which was also the inspiration for Sky TV’s The Enfield Haunting earlier this year. A new trailer for The Conjuring 2 has arrived, which hopes to creep us out this summer by moving the action to London and another ‘real-life’ supernatural case. Here’s the synopsis: ‘Reprising their roles, Oscar nominee Vera Farmiga (“Up In the Air,” TV’s “Bates Motel”) and Patrick Wilson (the “Insidious” films), star as Lorraine and Ed Warren, who, in one of their most terrifying paranormal investigations, travel to north London to help a single mother raising four children alone in a house plagued by malicious spirits. After the massive success of The Conjuring, it’s no surprise that we’re getting a sequel. However it’s taken a while for it to be ready – so long that we’ve had time for the spin-off Annabelle in the meantime – but now we have a trailer for The Conjuring 2, which moves the action to Britain. And in case you’re haunting, it is about the same case as the recent British TV show, The Enfield Haunting. The Conjuring 2 will be in cinemas in June. Stretch is a bit of a crazy film. Indeed it’s so crazy that despite a cast full of well-known actors the studio behind it didn’t know quite what to do with it and cancelled its US cinema release just a couple of months before it was due to hit cinemas, before trying to sell it to another distributor. However, that’s a shame as while it is nuts and sometimes incredibly messy, it’s also oddly entertaining, even if you can see the studio’s point that it’s a tough film to properly market. 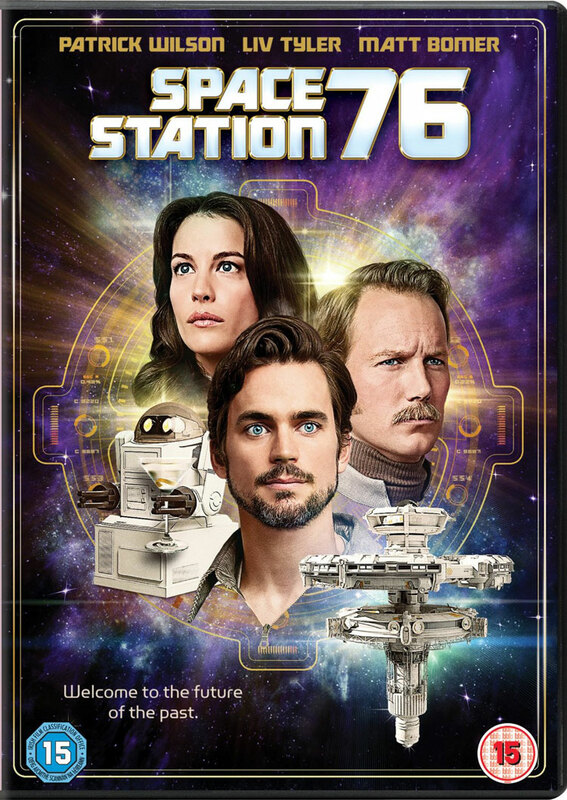 Space Station 76 is an odd but interesting idea. It’s a movie set in the future, but the 1970s version of the future, complete with bell bottoms, big hair and attitudes to sexuality and gender that haven’t fully gotten to grips with the sexual revolution. 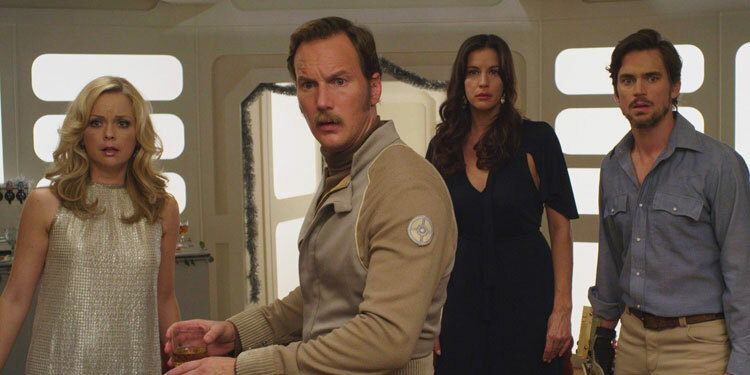 A couple of weeks ago the first rather unusual pictures emerged from Stretch, a movie that looks rather intriguing and had stars such as Patrick Wilson, Chris Pine, Jessica Alba, Ed Helms, Brooklyn Decker, James Badge Dale, David Hasselhoff, Ray Liotta, and Shaun Toub. Even with all that going for it, Joe Carnahan’s won’t be getting a US cinema release, instead it’ll be going digital on Amazon and iTunes on October 7th, with a VOD release coming on October 14th. 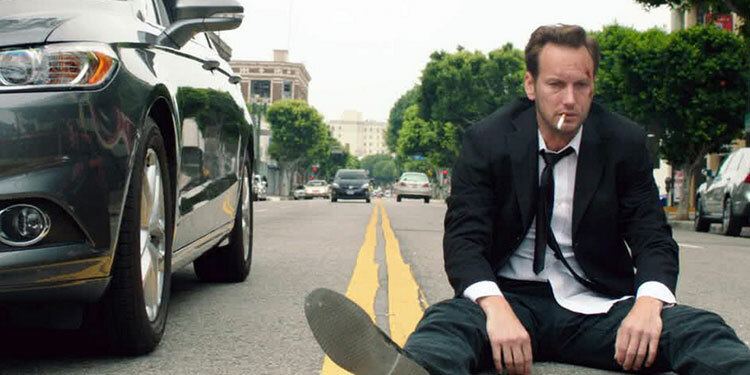 Wilson plays the central role of a downtrodden man who takes a job as a limo driver to pay off his gambling debts. His first client is an eccentric billionaire (Chris Pine), whose bizarre requests take a toll on the driver’s sanity throughout one crazy night. Take a look at the trailer below. Joe Carnahan may have dabbled in the world of blockbusters with The A-Team, but it looks like he’s going for something far more idiosyncratic with Stretch – at least that’s what that first pics released via the film’s Twitter account suggest. It also gives Chris Pine the chance to find out what he would look like as a crazy-bearded man who spends all day at the gym, while Patrick Wilson gets a subtle hint about what people think of him (just see what we mean below), while Jessica Alba channels her inner nerd by following the movie rule that glasses and a ponytail = plain girl. Ed Helms, Brooklyn Decker, James Badge Dale, David Hasselhoff, Ray Liotta, and Shaun Toub are amongst the strong supporting cast.